BrainPOP, BrainPOP Jr, and BrainPOP ELL are all accessible on mobile devices and tablets. While you can access our sites on any type of device, certain features are not accessible on mobile phones and/or tablets. You can use the charts below to see which features are available on different devices. Games that require Flash are not playable on mobile devices. You can access these games on desktop. See a full list of mobile-friendly games. How do I add a BrainPOP shortcut to my iOS device home screen? 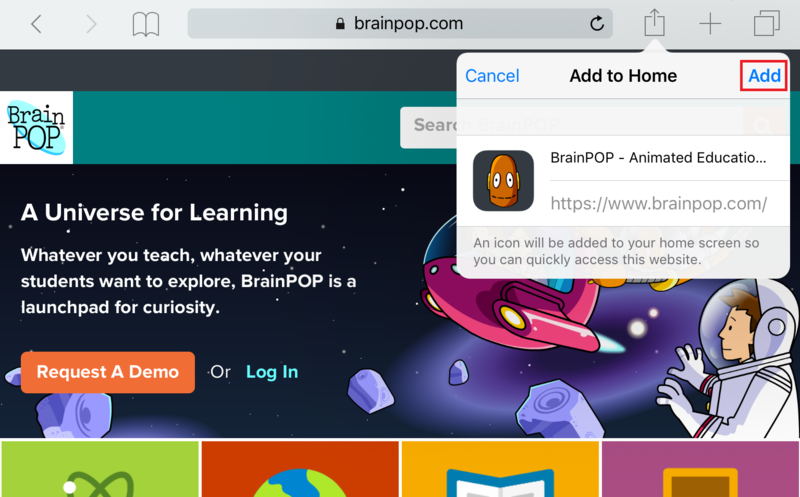 In Safari on your device, go to BrainPOP and tap the action button. Then, click Add to Home Screen. 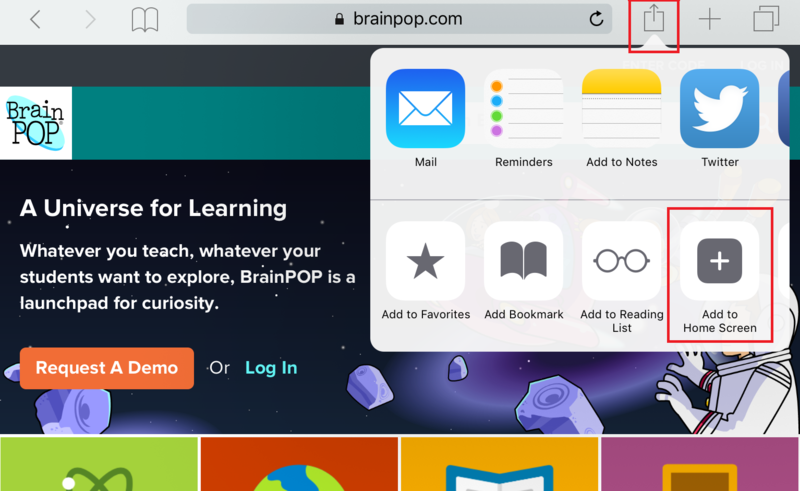 Use this home screen shortcut to access BrainPOP each time. Can I log in via G Suite for Education on mobile browsers? Yes. 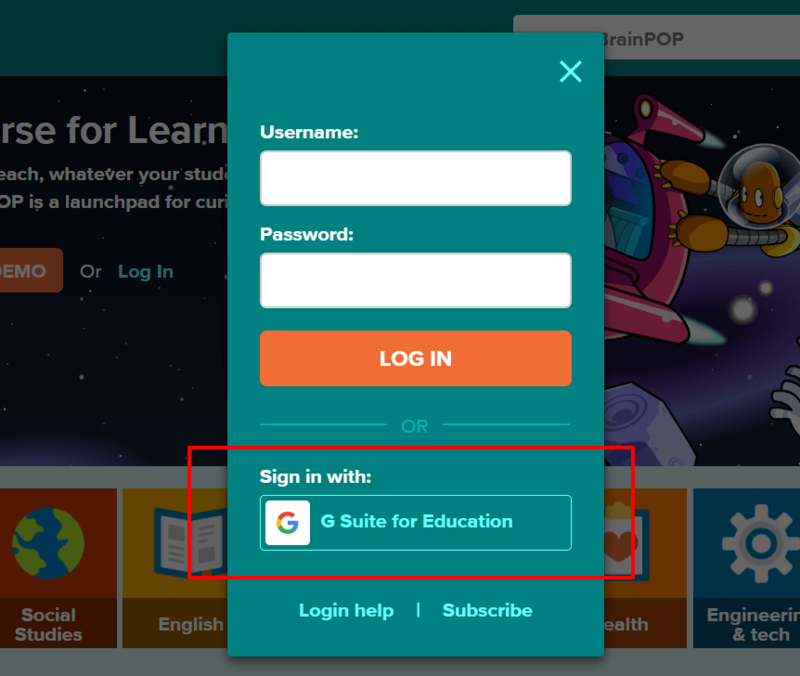 When accessing BrainPOP from your mobile browser, click Log In, then Sign in with G Suite For Education located under the username and password fields. Can I use Make-a-Movie on my mobile browser? You can use Make-a-Movie using the mobile browser.